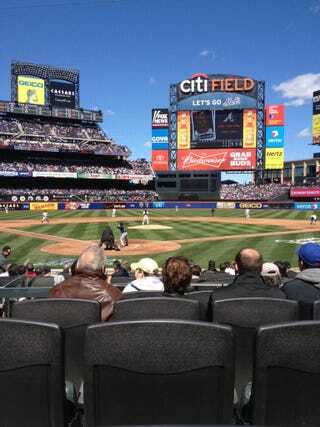 The Mets' announced attendance of 42,080 is the largest in the three-plus years of Citi Field. This is a stunning turnaround from this morning, when thousands of tickets were still available. And an even more stunning turnaround from earlier in the game, when it sure as hell looked like there were a ton of empty seats.